If you are looking for great used trucks for sale, consider stopping down at DePaula Chevrolet for the best service, deals, and experience in all of upstate New York. 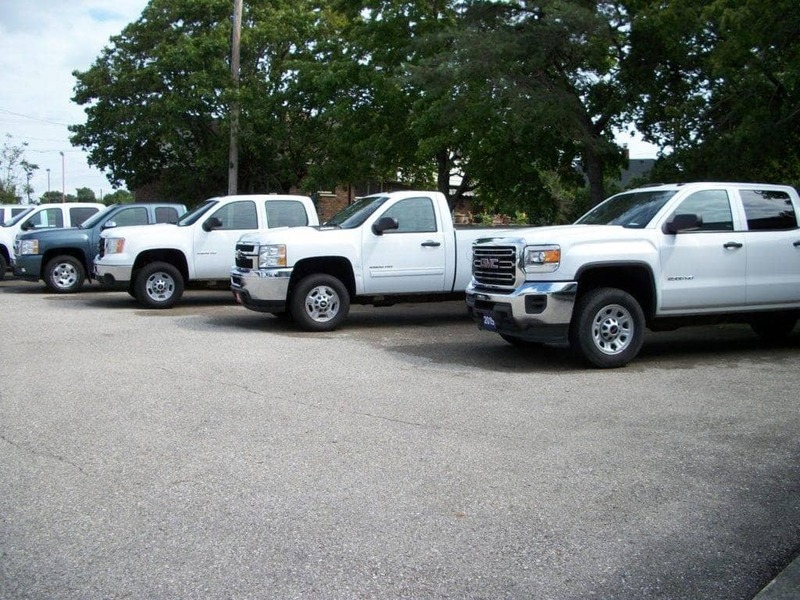 DePaula Chevrolet has you covered, whether you are looking for a high-quality pre-owned Chevy Silverado 1500, a newer used 2016 Chevrolet Colorado, or even a slightly used Ford F-150. The most reputable used dealership in the northeast is right in your own backyard, and the friendly team at DePaula Chevrolet is ready to provide you with the exceptional service they are best known for. Finding a reliable used car is important, regardless of whether you are looking for a pickup, SUV, crossover, sedan, or coupe. The team at DePaula Chevrolet knows the used car industry better than anyone else, which is why so many area residents put their trust in us every single day. With more of a selection, better pricing, and honest sales people, what more could you want out of a used car buying experience? With plenty of used vehicles for sale under $15,000, DePaula Chevrolet has something for every person, every budget, and every need. With a large in-stock inventory of quality pre-owned vehicles from every major automotive manufacturer, it doesn’t matter if you are seeking out a used Chevrolet, Ford, Honda, or even a Mercedes-Benz model, because we have it here ready for you to take for a test drive. Our affiliation with one of the most trusted car dealerships in the northeast, DePaula Chevrolet, means that we are ready to help you find the used car you are looking for, and we will go to great lengths to ensure you leave our dealership happy and satisfied. Other used car lots in the area may feature jaw-dropping low prices, but these types of bait-and-switch operations aren’t in the business of providing up front, transparent, and honest service to residents of Albany and the surrounding communities. Rather than risk a chance with a dealership that no one has ever heard of, why not put your trust in a name that this great community has known for the past several decades. DePaula Chevrolet isn’t your run of the mill used car lot, but rather an extension of an already incredibly reputable dealership, DePaula Chevrolet. Don’t be lured into a shady car transaction with the promise of balloon animals and flashing neon signs. Instead, visit a dealership with a name you know you can trust through every step of your used car and truck buying journey. Buy a Used Truck and Save! Used pickup trucks are one of the fastest selling vehicles on the market and for very good reason. The pickup truck segment is one of the smallest in the industry, and automotive brands who manufacture pickups certainly are great at what they do. It may be true that pickup trucks are put through the gauntlet more so than other used vehicles for sale, but it is also true that they are among the most dependable vehicles on the road. If you want to buy a used vehicle that you know will last you for years to come, don’t skip over the dependable pickup truck category. Used pickup trucks are likely to save you thousands of dollars over their brand new counterparts, and we can’t help but love offering our customers great deals on these amazing pickups. Our expert sales team will listen to your needs, and find you a truck that perfectly fits your lifestyle. Whether you need a truck that is capable of heavy-duty hauling and off-road driving, or a lighter duty truck that can manage your extended cargo needs, you will find it at DePaula Chevrolet with the help of our knowledgeable team. If we don’t happen to have the pickup truck you are searching for, don’t count us out just yet. DePaula Chevrolet is so committed to satisfying every person who is in the market for a pre-owned car, that we will go out of our way to find you the truck you need, and bring it right to our location for you to purchase. When we said that no one leaves our dealership unhappy, we meant it wholeheartedly. No other used car dealership in the northeast has such a strong commitment to customer care and satisfaction as our team here at DePaula Chevrolet. Buying a used vehicle for your next purchase is a great way to save money, get more for what you pay, and even better position yourself for future financial purchases. At DePaula Chevrolet, we stand by every car, truck, and SUV that we sell to our customers. When you find a reliable pickup truck for sale at DePaula Chevrolet, you can rest easy knowing that it was carefully selected, inspected, and researched before finding its way on our lot. Every car that we sell is one that we would purchase ourselves, for our friends or our family. As a family owned and operated dealership, we view our customers as an extension of our family, and treat them as such. While other used car dealerships treat their customers as second rate citizens, the team at DePaula Chevrolet goes out of their way to ensure you are comfortable and confident with your pre-owned vehicle purchase. No one should ever feel bullied into a car buying decision, and they never will at DePaula Chevrolet. Our sales team is just as determined to make our customers feel comfortable, as they are to selling used vehicles. When you trust DePaula Chevrolet to handle your next new-to-you vehicle purchase, you can rest assured knowing that you are in the best hands possible. Just as you want your new truck to have exceptional convenience features, so should you want your used car dealership to provide convenience throughout your buying process. From a fully equipped waiting area with free wi-fi, comfortable seating, and semi-private workstations, to hot cups of complimentary coffee, snacks, and more – DePaula Chevrolet understands what customers want out of their car buying journey, and we provide it. Even if you are bringing the kids along for the ride, our children’s corner will keep them happily occupied for the duration of your visit. With plenty of books, toys, coloring books and more – the only complaint your little ones will have is when it is time to head back home. DePaula Chevrolet isn’t an ordinary used car lot. We are an extension of the most reputable dealership in New York, and pride ourselves on providing residents with a large inventory of quality used trucks, car, SUVs, and crossovers for sale. Don’t get stuck at a shady car lot with a sour deal on a used vehicle, come to DePaula Chevrolet and get the best deals, service, and quality used cars each and every time. Our team is waiting to show you just how unique and special your next used car buying experience can be, and we can’t wait to provide you with the DePaula Difference. Don’t wait another day, or spend another minute searching through used car buying ads with inflated promises of The Best Deals in Town! Stop in to DePaula Chevrolet first, and save yourself a headache and stress that other used car lots are so keen on providing. We hope to see you soon.